Finally my first VLOG! I know I said that I’ll be doing an Q&A (you can still send in your questions!) for my first episode, but I got too excited after finally getting a new computer allowing me to create videos easily and much faster (I’ve been living off an 11″ for 4+ years and it takes forever to load things especially videos). Don’t worry though, I’ll still be doing the Q&A and you could definitely expect more videos on my youtube channel. 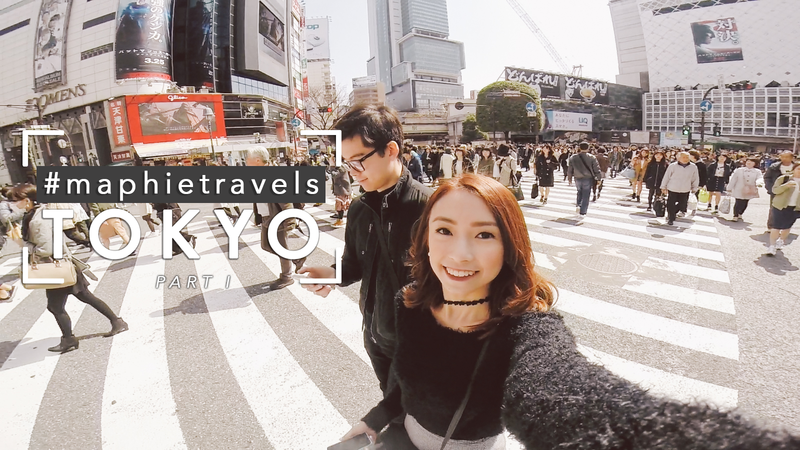 Watch my video to know our itinerary for our first three days in Tokyo. I had so much fun creating this and wish I could visit Japan again soon! Hope you can leave some love on my comment section and don’t forget to SUBSCRIBE to my channel. Feel free to share especially if you are planning to visit Tokyo! P.P.S. I’m planning on getting a new camera for filming videos. Any good camera/brand suggestions? Preferably one that’s handy (perfect for traveling) and has good video quality! Hello, Sophie! Just a few questions: What camera did you use to take these videos? What software did you use to create/edit this video? Thanks! Here’s another link: http://travel.nationalgeographic.com/travel/top-10-compact-travel-cameras/#/fujifilm-xt-1_83529_600x450.jpg 🙂 🙂 Hope you get do decide on a camera soon!